Dr. David Asai leads the Undergraduate and Graduate Programs (UGP) group in science education at the HHMI. The UGP group designs, implements, and administers a spectrum of grants and fellowship programs. Dr. Asai’s current work as Senior Director for Science Education is guided by three beliefs: 1) the dynamic demographics of the U.S. population presents the greatest opportunity and the most compelling challenge for U.S. science, 2) all students—regardless of where they come from and where they’re going—deserve a meaningful, effective, and positive experience in science through which they will better understand the process of science, and 3) making that experience meaningful, effective, and positive is the responsibility of the faculty and administrators who define the institution’s culture. Dr. Asai received a bachelor’s degree in chemistry from Stanford University, a Ph.D. in biology from Caltech, completed postdocs at Caltech, and the UC Santa Barbara. He was a faculty member at Purdue University for 19 years and spent several years as Head of Biological Sciences. He then spent five years at Harvey Mudd College as the Stuart Mudd Professor and Chair of Biology. Dr. Asai joined Howard Hughes Medical Institute (HHMI) in 2008. Dr. Julia Kent is Vice President, Best Practices and Strategic Initiatives at the Council of Graduate Schools (CGS). In her ten years at CGS, she has conducted research and programs on a broad range of topics in graduate education, including Ph.D. career pathways; diversity issues; graduate admissions processes; international collaborations; quality and accountability; research ethics and integrity; and the preparation of future faculty. Currently, Julia serves as co-Principal Investigator for a multi-phase project supported by NSF and the Andrew W. Mellon Foundation, Understanding Ph.D. Career Pathways for Program Improvement (NSF #1661272), which has brought together a coalition of 65 universities working to collect and analyze data on Ph.D. careers. Dr. Kent has also overseen CGS’s Global Summit, an international meeting of graduate deans that have convened graduate education leaders from 30 countries in its 10-year history. Dr. Kent received a bachelor’s degree in English and French from Amherst College, a master’s degree in French literature from Université de Paris VII, and a Ph.D. in 19th century French literature from John Hopkins University. Before coming to CGS, she was Assistant Professor of English at the American University of Beirut. Mr. Tobin Smith is Vice president for Policy at Association of American Universities (AAU). In his current position, he oversees AAU’s policy projects, initiatives, and activities including the AAU Undergraduate STEM education and Ph.D. education initiatives. He is responsible for matters relating to science and innovation policy and broader impacts of science. Mr. Smith also serves on the Advisory Board to the National Alliance for Broader Impacts (NABI). Mr. Smith has written and spoken widely on science policy and funding issues and is a co-author of a book on national science policy published in 2008 by the University of Michigan Press titled, Beyond Sputnik – U.S. Science Policy in the 21stCentury. Mr. Smith received a bachelor’s degree in general studies from the University of Michigan and a master’s degree in legislative affairs from George Washington University. He began his career on Capitol Hill as a legislative assistant to Congressman Bob Traxler (D-Michigan). Afterward, Mr. Smith worked as a federal relations representative in the Washington D.C. Offices of the Massachusetts Institute of Technology (1992-1999) and the University of Michigan (1999-2002). In 2003, Mr. Smith began working at AAU where he currently serves as Vice President for Policy. Dr. James Sterling is a founding faculty member of Keck Graduate Institute KGI and has helped develop a curriculum that prepares students of the applied life sciences to work on the development of laboratory research tools, laboratory automation, and micro-bioanalytical methods. Dr. Sterling served as Vice President for Academic Affairs and Dean of Faculty at KGI from 2009-2014 and led the establishment of the Professional Science Master’s (PSM) National Office at KGI. Dr. Sterling has been involved in the development of several graduate programs, including the Master of Business and Science (MBS), the Ph.D. in Applied Sciences, and the Postdoctoral Professional Master’s (PPM) at KGI. Dr. Sterling received his bachelor’s degree in mechanical engineering from Texas A&M University and a master’s degree and a Ph.D. in mechanical engineering from the California Institute of Technology. He worked at Los Alamos National Laboratory and Advanced Projects Research as a systems engineer and project manager. Dr. Sterling has been a faculty member at Keck Graduate Institute (KGI) since 2000. Dr. Anthony (Tony) Boccanfuso is President of the University-Industry Demonstration Partnership (UIDP) and holds an appointment in the Provost’s Office at the University of South Carolina. He also serves on several boards including the MedStar Health Research Institute and the Hydrogen Education Foundation for which he is the current chair. As UIDP President, he champions its singular focus on improving collaborations between the academic and corporate sectors. He regularly consults for government agencies, non-profit organizations, and private firms. He is regularly sought after as a speaker (both domestically and internationally) and has published several reference sources on industry-academic engagement. Dr. Boccanfuso received a bachelor’s degree in chemistry and political science from Furman University and a Ph.D. in inorganic chemistry from the University of South Carolina. Career includes time in government at both the National Science Foundation and National Institutes of Health. He has also worked as a senior research administrator at several universities where he had direct responsibility for compliance, grants administration, incubators, industry engagement, intellectual property, and research strategy. 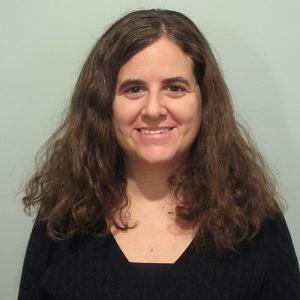 Cynthia Fuhrmann, Ph.D., is Assistant Dean of Career and Professional Development and Associate Professor of Biochemistry and Molecular Pharmacology at University of Massachusetts Medical School. She founded and directs the graduate school’s Center for Biomedical Career Development, through which (as PI of UMassMed’s NIH BEST award) she has led the integration of career development into and across the core Ph.D. training curriculum. She is also the PI of an initiative to create a national center that will bring together stakeholders in graduate and postdoctoral education to facilitate the dissemination and growth of evidence-based educational practices for Ph.D. career development. This initiative originated from a multi-stakeholder summit hosted by the American Society for Biochemistry and Molecular Biology (ASBMB), and has funding from the ASBMB, Burroughs Wellcome Fund, and National Science Foundation (NSF). Dr. Fuhrmann received a bachelor’s degree in chemistry from UC Davis and her Ph.D. in Biochemistry and Molecular Biology from UC San Francisco. She founded UCSF’s Preparing Future Faculty program, then transitioned into a role as Program Director for Academic Career Development at UCSF, overseeing academic and professional skills programs for biomedical scientists. Her scholarly work includes studying the career interests of Ph.D. trainees and developing educational frameworks for Individual Development Plans (including co-authorship of myIDP, hosted by the American Association for the Advancement of Science). Building on this work, she is collaborating with the American Chemical Society as co-PI on an NSF Innovations in Graduate Education grant to develop a cross-disciplinary toolkit for measuring the efficacy of educational approaches using Individual Development Plans. Dr. Jodi B. Yellin is a Director of Science Policy at the Association of American Medical Colleges (AAMC). She is responsible for the Association’s policy agenda focusing on biomedical research training and the biomedical research workforce. She also serves as the Scientific Affairs unit liaison to the AAMC Group on Graduate Research, Education, and Training (GREAT). Dr. Yellin has led several initiatives in collaboration with the research training community, including producing a report on Institutional Approaches to Tracking Research Trainee Information, drafting and updating the Compact Between Postdoctoral Appointees and Their Mentors and the Compact Between Biomedical Graduate Students and Their Research Advisors, and initiating a research and research training innovation award program. Dr. Yellin earned her bachelor’s degree in chemistry from MIT and her Ph.D. in molecular biophysics and biochemistry from Yale University. She later worked as a Howard Hughes Postdoctoral Associate at the Center for Advanced Biotechnology and Medicine at Rutgers. Dr. Yellin was also a Christine Mirzayan Science and Technology Policy Fellow on the Board of Higher Education and Workforce at The National Academies. Dr. Kim Petrie is currently the Assistant Dean for Biomedical Career Development at Vanderbilt University. Some of her responsibilities are providing career and professional development resources for the postdoctoral fellows and graduate students in the biomedical sciences, hosting career development programs, and meeting individually with postdocs and students for confidential career advising appointments. Dr. Petrie is Co-PI of Vanderbilt’s NIH BEST award, which supported the creation of the ASPIRE (Augmenting Scholar Preparation and Integration with Research-Related Endeavors) Program to integrate career and professional development into the Ph.D. and postdoctoral training paradigm at VU. Through ASPIRE, VU created career planning resources for first-year graduate students, a series of modules and workshops to broaden training experiences, a nationally-available video interview series highlighting alumni career paths, an internship and employer site visit program, and a professional development series for postdoctoral fellows. At the national level, Kim is currently serving as Secretary of the Graduate Career Consortium (GCC), an organization comprised of nearly 400 members who support the career and professional development of graduate and postdoctoral scholars at research universities and institutes in the U.S. and Canada. She has been a member of GCC since 2006 and has served on numerous committees as the GCC incorporated. Dr. Petrie received a bachelor’s degree in biology from Lawrence University and her Ph.D. in pharmacology from Vanderbilt University. In 2005, she helped launch the Biomedical Research Education and Training Office (BRET) at VU and is currently the assistant dean.